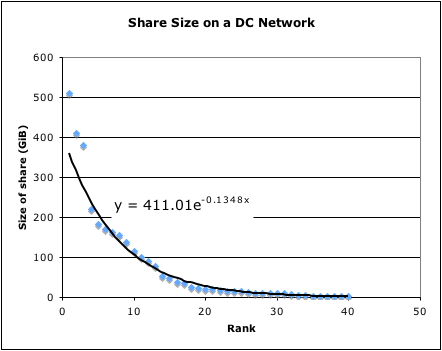 This is a graph of the share size of a small direct connect hub on a recent evening. Nice example of Bradford’s law. Total amount of shared data at this time was 3.1 TiB, with the average being 78 GiB.